Are you a person who lives on texts and hates making phone calls? Do you get very nervous when you have to make appointments or have to get dinner reservations for a very important date? Well, as always there is a solution available for this. We will get the credit to our best friend Google for this. 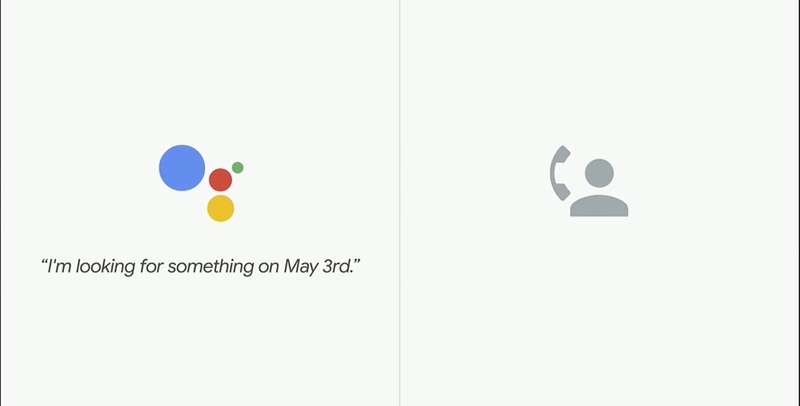 Google just introduced some amazing new features for the Google Assistant at the Google I/O 2018. Google Assistant will now be able to place phone calls and make reservations on your behalf! You will no longer have to worry about setting up those doctor appointments or reserving dinner tables etc. According to the company, more work has to be done on the feature before it is completely perfect. The Assistant will be ‘smart’ and will make these cools and no one will ever know! Sundar Pichai talked about the haircut experience during the Google I/O event. Google Assistant will make your barber appointments for you now. You won’t have to talk on the phone at all. No more phone call anxiety! A pre-recorded demo was used to show this feature on the stage. The Google Assistant, which uses the Google Duplex AI, made the hair appointment. The voice it uses, is not robotic and is convincing enough. It is not the robotic voice we are used to hearing. In another demo, the Assistant even had a conversation with restaurant to make the reservations! The CEO hasn’t given us an exact timeline of when we will be able to use these features, but he did say that testing will begin in the summer. Sounds exciting, right? Are you comfortable with your Assistant having so much control? Or are you paranoid about this new ‘smart’ feature? Let us know in the comments!